When the management team at the leading Bean Bag company, Comfort Research, decided to enroll the staff to constantly focus on improving the company, they came up with a real winner of an idea. 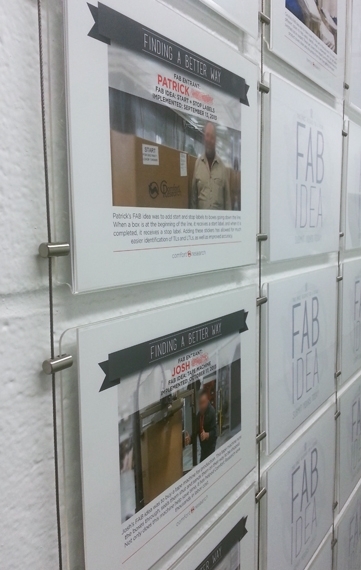 Always looking to "Find a Better Way" (FAB), management put some money where the ideas are. 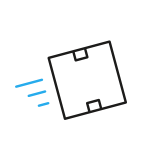 They created a program that allows all employees to submit ideas. 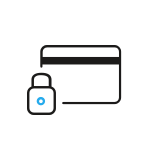 The ideas are reviewed by a team and, if an idea shows a likelihood to improve the company's processes, increase customer satisfaction, or reduce costs, the idea is implemented. Better yet, there are quarterly and annual rewards for the best FAB Ideas. 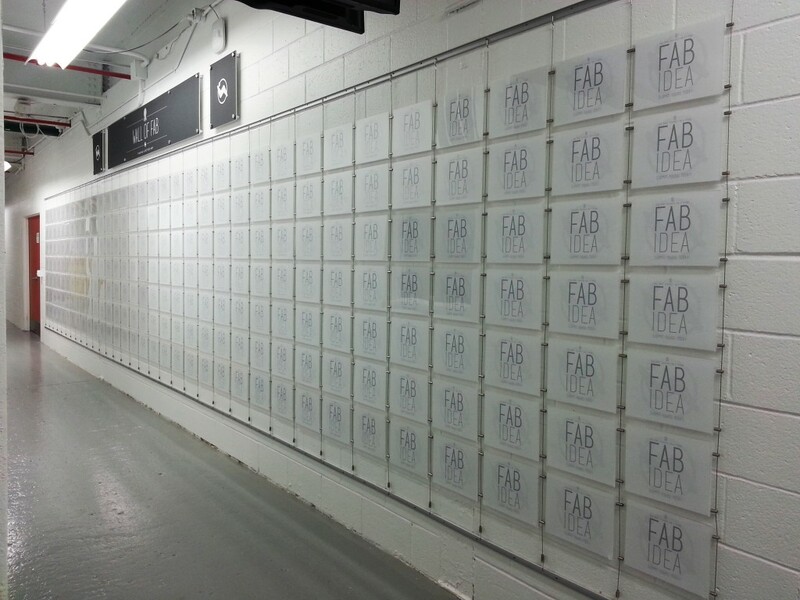 But to maintain visibility amongst the staff, all submissions are published and displayed on a Wall of Fab. 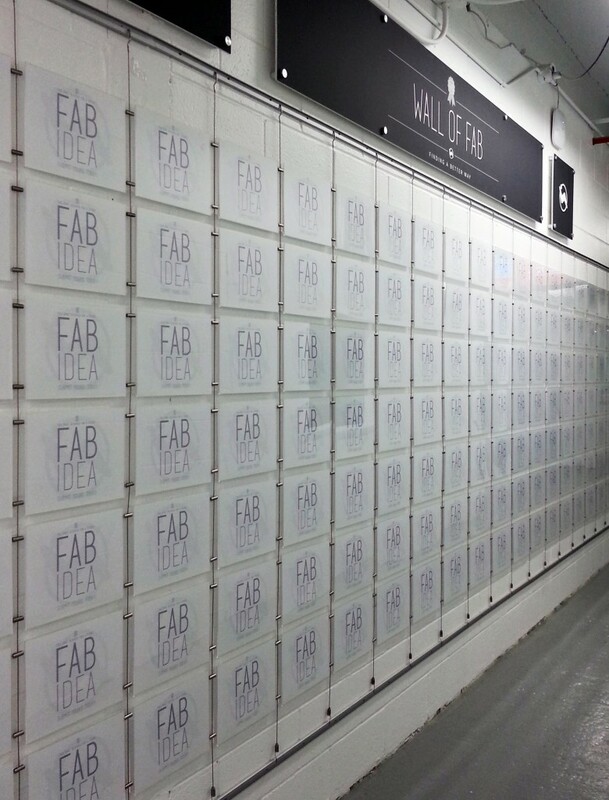 The Wall of Fab is a display of about 35 feet by 9 feet. The acrylic pocket display is made from nearly 240 acrylic pockets arranged in 34 columns of 7 pockets. 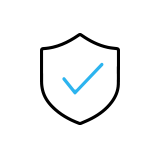 It is impressive and clearly communicates management's expectation to hear all ideas. 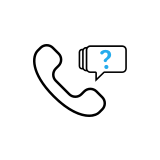 As FAB ideas are submitted, a little effort is invested to nicely present the idea in a standard format that includes a short brief of the idea and the name and photo of the staff member who submitted it. This presentation sheet is then inserted into one of the pockets and placed on display. In the above photo you can see only a small portion of the pockets have been filled with submissions. The rest of the pockets are filled with a placeholder and reserved for future use. Quarterly, ideas are reviewed and the implemented ideas are permanently posted to the wall with the idea's implementation date. Clearly, this wall has capacity for a lot a creative problem solving. 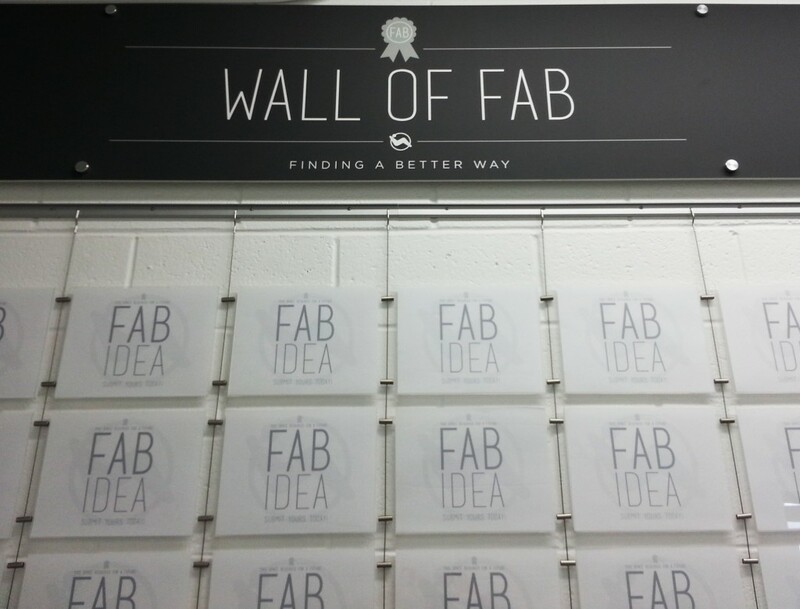 Our only question, "Did the person who came up with the Wall of Fab idea get rewarded?" We think it is fabulous! 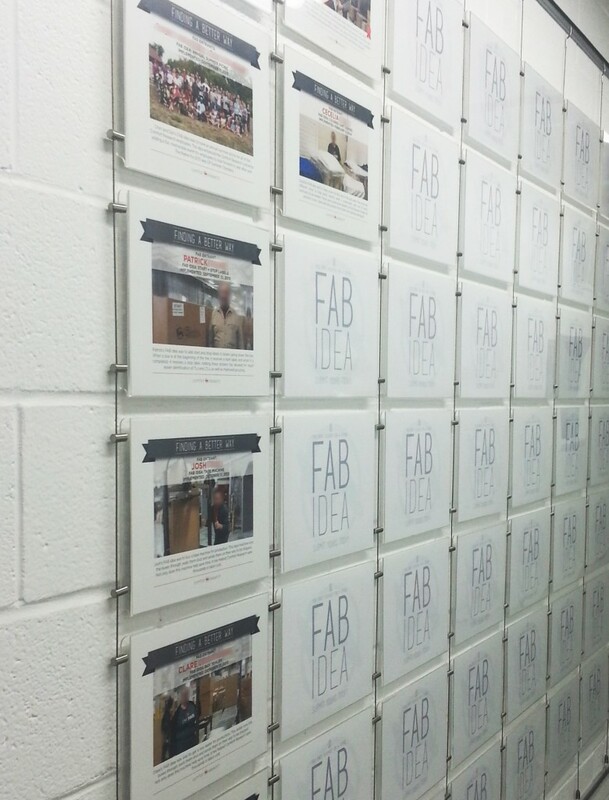 This Wall of FAB is just another example of the diversity our Acrylic Pockets. While Comfort Research uses our landscape oriented Letter Sized pockets, similar acrylic pockets are available in both Letter size and Tabloid size. Both sizes come in Portrait and Landscape orientation. The pockets attach to cables and can be implemented with any of our Tracks.